Journalist Yifat Erlich quits list following approval of agreement for technical bloc with Otzma Yehudit in the elections. 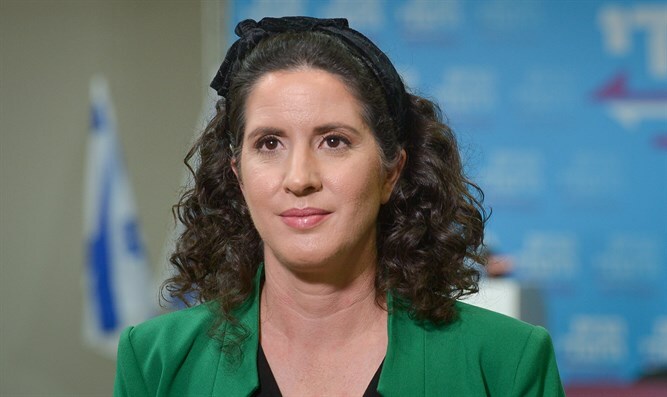 Journalist Yifat Erlich, who was third on the Jewish Home list and sixth on the Jewish Home-National Union alliance with Otzma Yehudit, resigned Thursday morning from the list and will not run for the 21st Knesset. Erlich's move followed the Jewish Home central committee's decision last night to approve the agreement for a joint run with the Otzma Yehudit party. According to officials in Jewish Home, Erlich quit after Jewish Home Chairman Rafi Peretz refused to place her in the 28th slot on the Likud list, which Netanyahu reserved for a Jewish Home representative. Following Erlich's decision, the public council of the Jewish Home Party will convene shortly and will elect a new candidate to be placed in the same slot on the list. Leading candidates for the slot are Chairman of the Shurat HaDin legal organization Nitzana Darshan-Leitner, Jerusalem Deputy Mayor Hagit Moshe and party activist Idit Silman. "YIfat Erlich, the No. 3 candidate on the Jewish Home list, reached an agreement in mutual understanding with the party chairman, Brig. Gen. (res.) Rabbi Rafi Peretz, about her departure from the list. We are sorry about her departure, but respect her decision," the party said. "There is room in Jewish Home for all sons and daughters of Religious Zionism, including Druze and secular candidates," the party continued, adding, "Against the unification on the left, the entire right-wing bloc must take responsibility and unite. The time has come for the parties of Bennett, Kahlon and Liberman to unite as well." Last night, the National Union and the Jewish Home Centers approved an agreement on a technical bloc with Otzma Yehudit. According to the agreement, Otzma Yehudit candidates will be placed in the 5th and 8th spots on the list. Immediately after the elections, Otzma will split from the Jewish Home-National Union faction and will function in the Knesset as an independent faction.